These mason mug drinking glasses with handles are perfect for serving up refreshments at weddings, showers, church socials, and holiday gatherings! Kate Aspen's Personalized 12 oz. 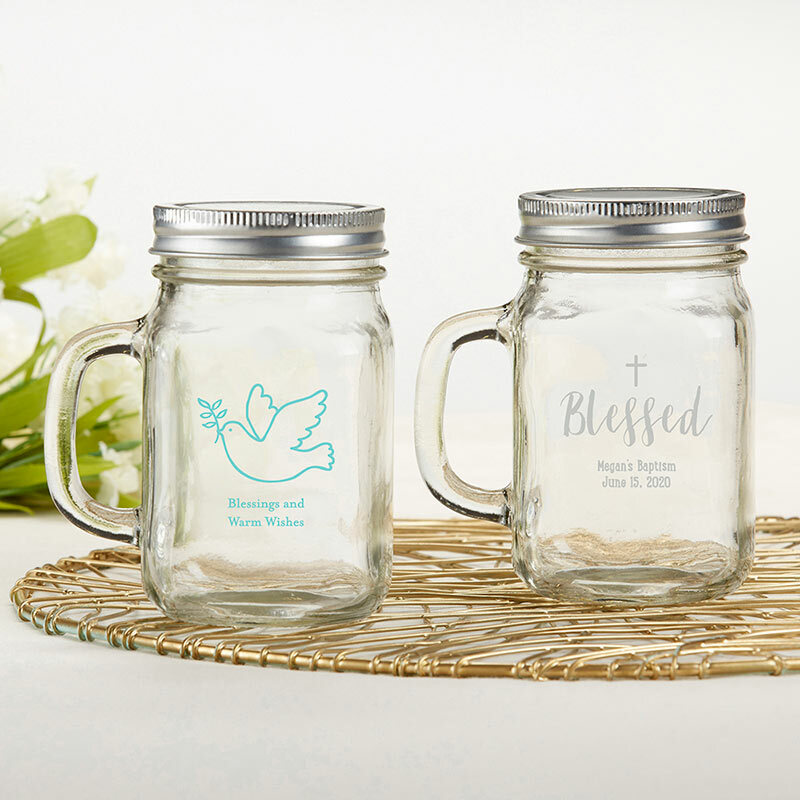 Mason Jar Mug with a Religious themed design shows your event details front and center, and can be used to hold lemonades or sweet teas, but may also present additional favors or décor items as well. The rustic inspired drink ware is equipped with a glass handle on one side and a metal screw top lid, allowing it to hold whatever you may need it to hold.